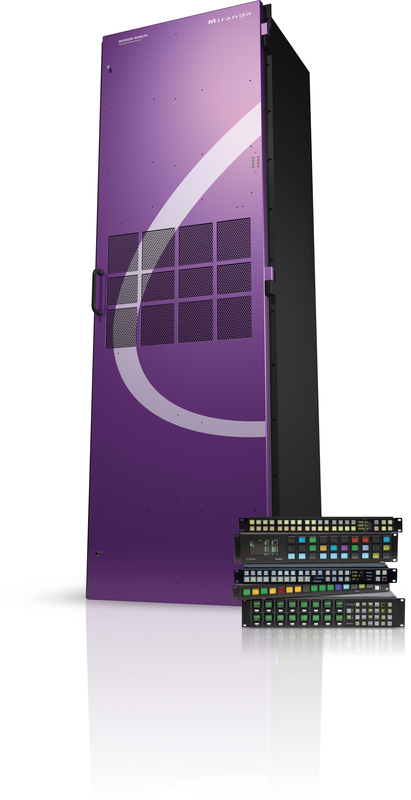 Playout technology company Miranda Technologies has been awarded a multi-year, multi-million dollar contract by NBC Universal to supply routing solutions for its broadcast facilities across the USA. Under the deal, NBC Universal will upgrade its core routing infrastructure while deploying Miranda’s new Nvision routing systems at its main broadcast facilities in New York and Los Angeles, as well as other NBC Universal production facilities throughout the US. The first phase of the project is the consolidation of its core routing systems at NBC Universal’s main 30 Rock facility in New York. The new signal management system will be based on Miranda’s Nvision 8500 Hybrid router. These routers can offer integrated embedded audio processing, along with MADI and fibre connectivity and advanced N-on-1 crosspoint redundancy for the highest level of resilience. The new signal management system will involve a range of routers, from Miranda’s largest Nvision 8500 Hybrid routers for main facility switching to the smallest Nvission Compact routers for utility applications.